Dowco was comissioned to do the detailing for the Eli Lilly Biotechnical Center in San Diego in 2016. 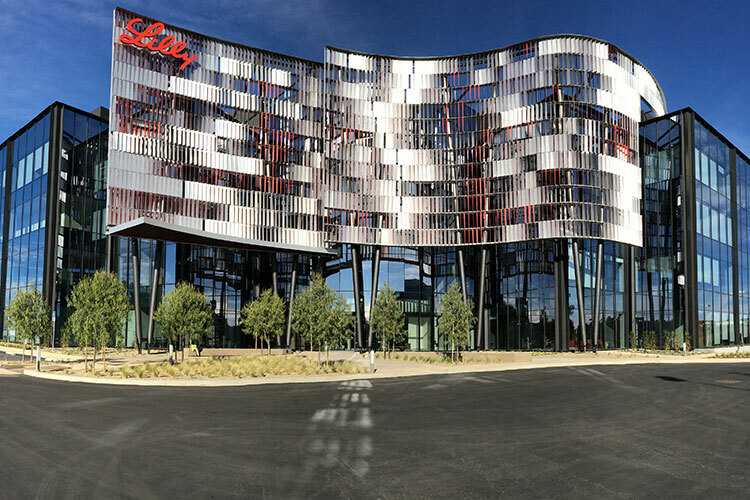 The Lilly Center represents a major expansion of Lilly's presence in the southern California market. 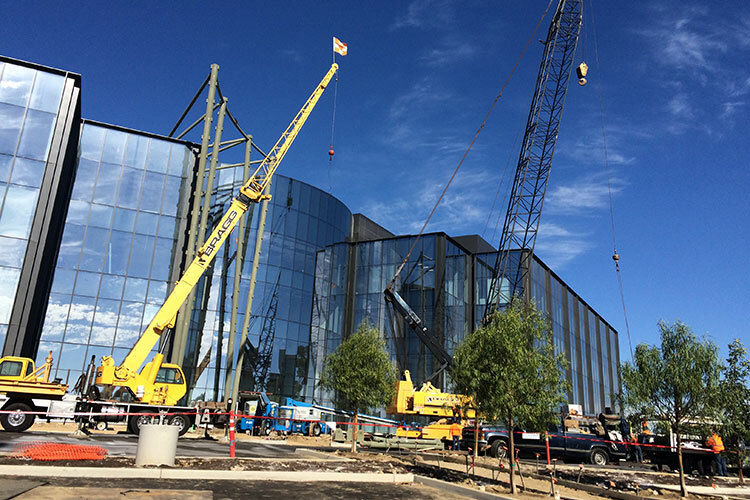 Dowco worked on the steel curtain wall at the front of the building. The project was unique due to its curved design and complex geometry. 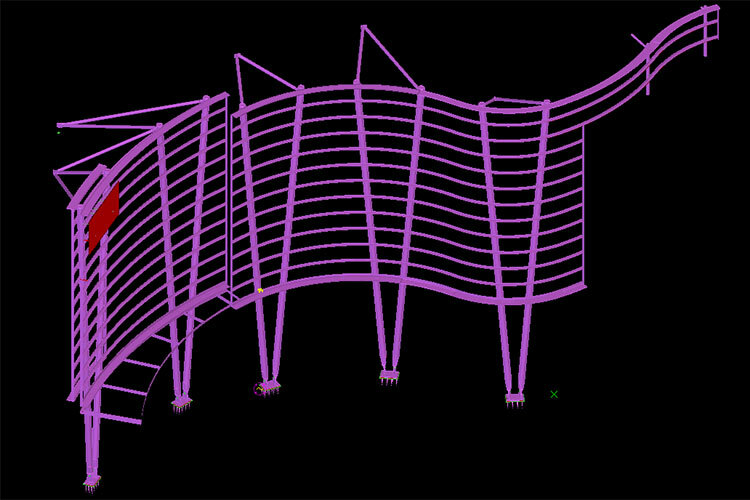 All the columns for this project were sloped and all the beams were curved. This provided additional challenges for detailing, particularly in regards to connection. Some Say It Can’t Be Done – We Think Differently. We were brought onto the project by the fabricator after another detailer was unable to complete the project. Dowco delivered the project under budget, error free, and with no issues in the shop or on site. The project went on to be awarded for craftsmanship in Southern California.